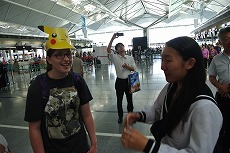 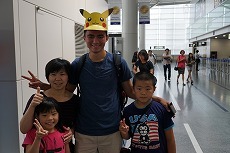 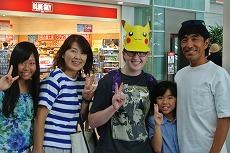 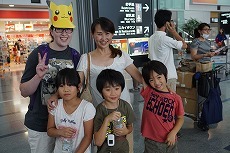 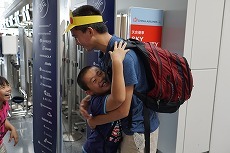 Host families waiting for three students in the airport. 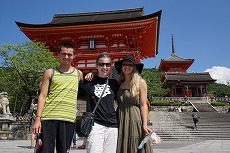 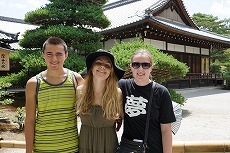 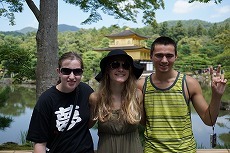 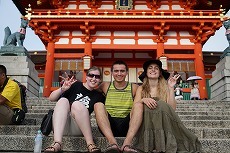 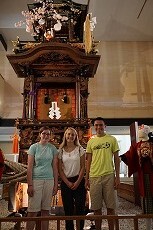 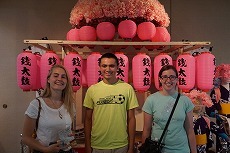 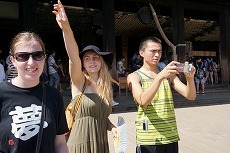 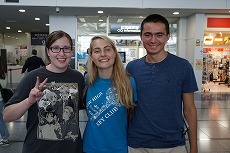 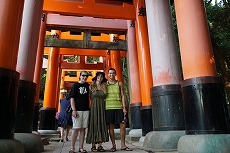 Brianna, Matthew and AnnMarie arrive. 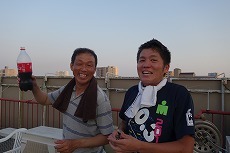 They don't seem tired and have nice smiles. 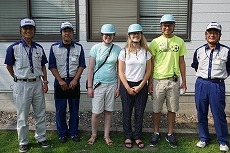 At Fuji Heavy Industries Ltd. 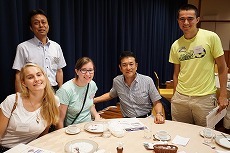 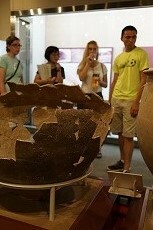 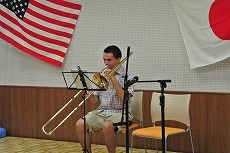 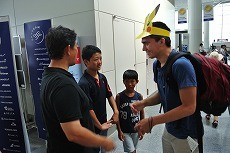 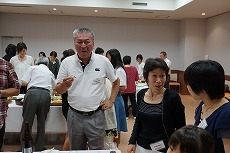 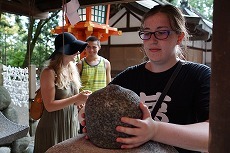 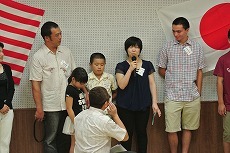 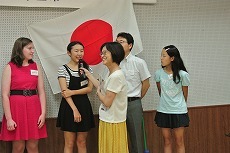 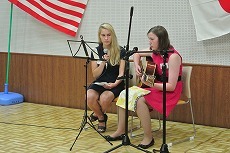 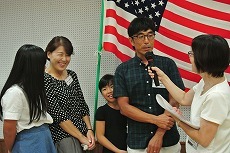 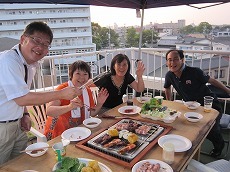 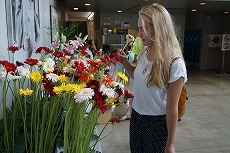 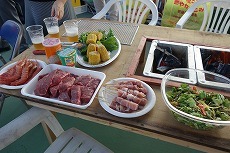 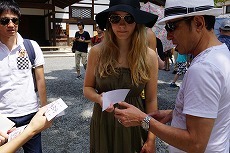 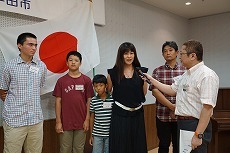 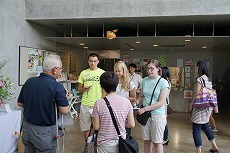 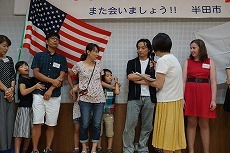 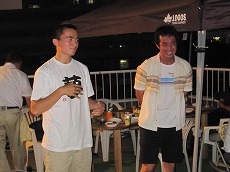 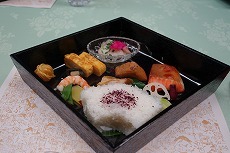 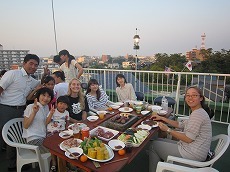 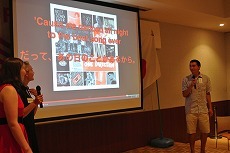 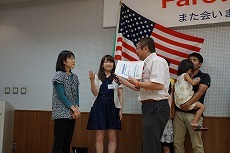 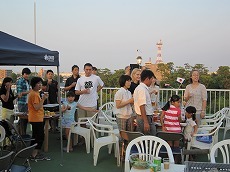 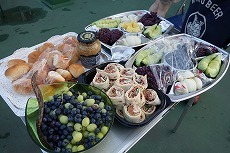 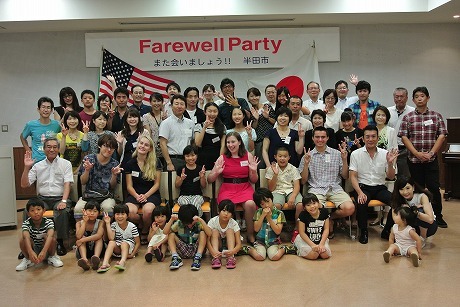 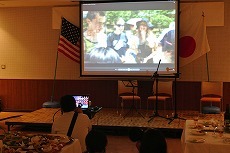 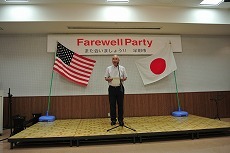 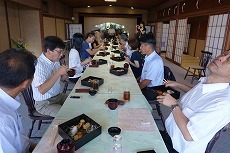 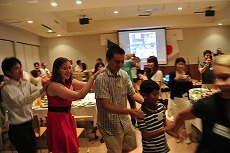 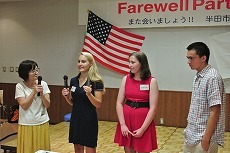 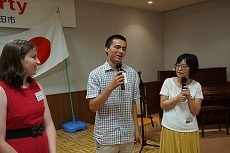 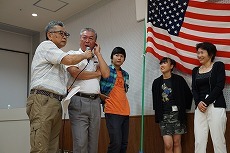 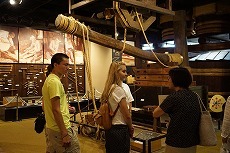 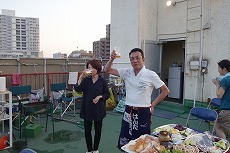 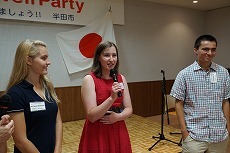 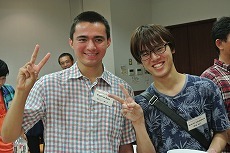 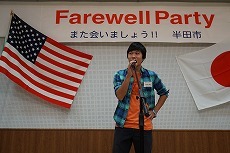 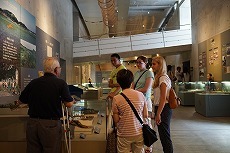 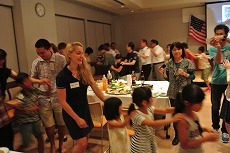 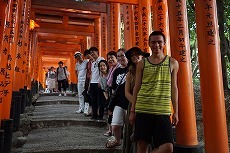 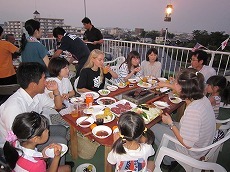 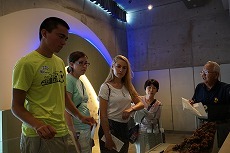 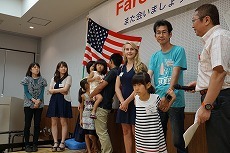 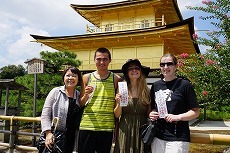 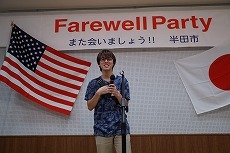 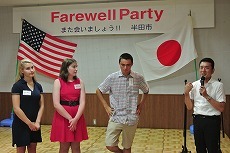 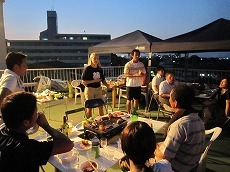 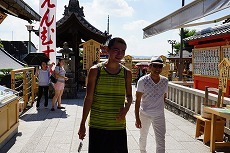 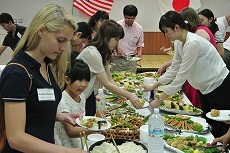 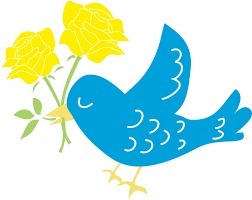 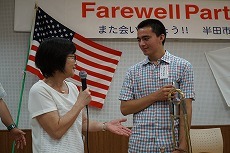 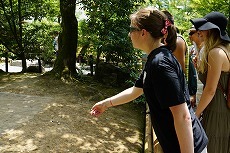 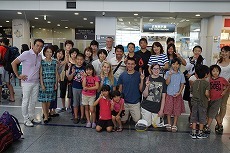 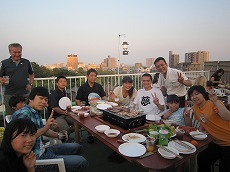 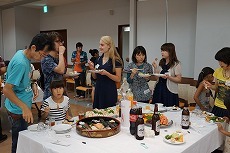 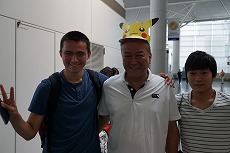 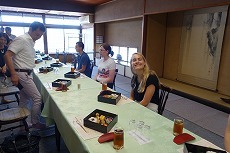 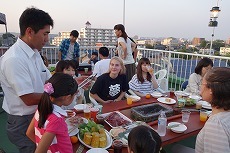 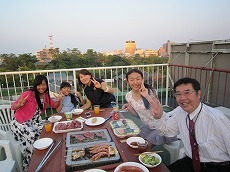 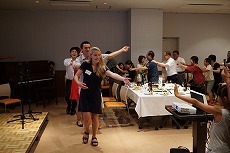 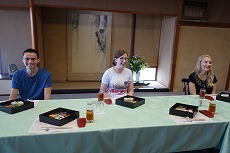 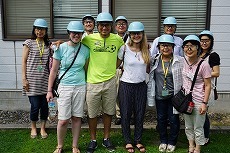 The students and host families are invited to BBQ party at Mr. Matsuishi's house. 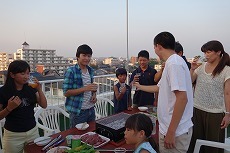 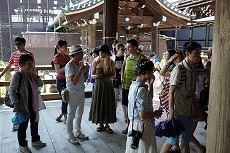 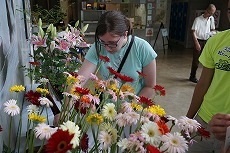 All people enjoy the party very much. 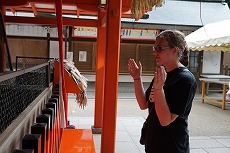 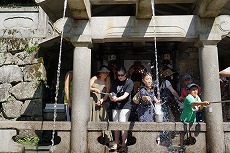 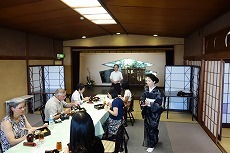 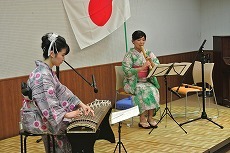 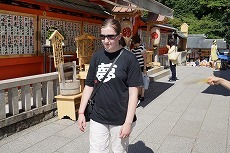 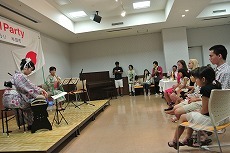 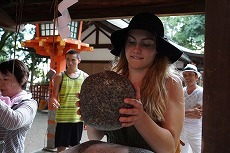 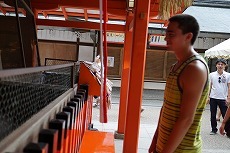 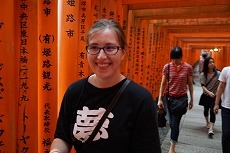 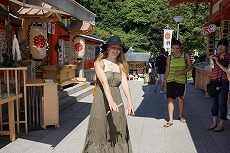 Performance of "Koto" and "Shakuhachi"